From breathtaking landscapes and majestic wildlife to vivid cosmopolitan cities, Canada is dream destination for a fun and adventurous vacation. The country overflows with some of the world’s more beautiful natural wonders, so it shouldn’t come as a surprise Lonely Planet named it the best place to visit in 2017 in its ‘Best in Travel’ list. Just by looking at pictures of the Canadian Rockies I’m amazed by their magical beauty, so when my husband and I decided to go on an exiting trip and escape just for a few days out hectic and busy life in Melbourne, I suggested Canada as a great destination for our travel adventure. My husband has visited Toronto as a teenager and had wonderful memories form his trip, so he was thrilled with the idea. Since we are both what one would call restless adventure seekers, we wanted to enjoy the dazzling Canadian landscapes form a totally different perspective. 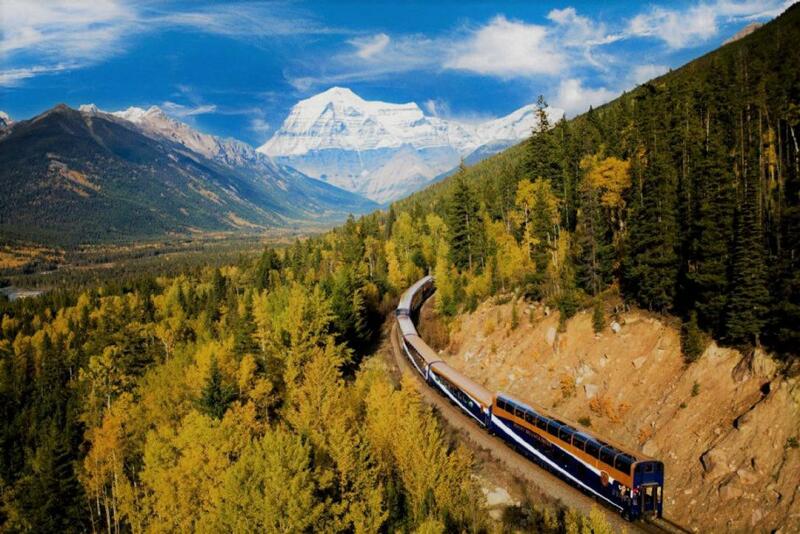 So, it seemed as the perfect idea to experience the beauty of Canada by train. Before we could embark on our thrilling Canadian adventure, we needed to find a reputable travel agency that can provide us with a well-organized and hustle-free trip abroad. We did a search online and after looking at various travel agencies and reading a number of reviews, we found one that offered highly professional and flexible travel services a and had wonderful reviews from satisfied customers. The experienced travel agents helped us choose an affordable and well-organized travel package so that we could fully enjoy our adventure across Canada by train. We went on a 14-day rail tour across Eastern Canada on the legendary Pacific Railway. We had so much fun and we definitely plan to go on another rail journey some time in the near future. I really can’t think of a more romantic moment than sitting with my loved one in our cabin sipping on a glass of wine while overlooking the magical beauty of the Canadian landscape. We had many wonderful moments on the tour that it’s hard to pick the best ones, but if I have to pick a favourite memory that would have to be the fun sightseeing excursion we had to Niagara Falls. The impressive beauty and power of the falls is a sight to behold. We were very lucky to visit the falls on a bright sunny day, so we got to see a few rainbows formed by the falling water. I could go on all day long talking about our thrilling rail journey, but I’m going to finish this article by saying that Canada is stunning travel destination that offers anyone who visits a distinctive visual experience. Previous Entries Is Engineered Hardwood Flooring the Best Choice for Your Home? Next Entries What Is Cyber Insurance and Why Is It So Important for Your Business?